Calling all readers! 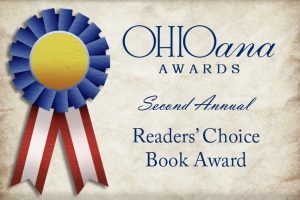 Earlier this week, Ohioana launched our second annual Readers’ Choice Award online poll – and we want to hear from you! Created last year in celebration of the Ohioana Awards’ 75th anniversary, the poll invites readers to choose their favorite book from among the thirty award finalists selected by our judges (our inaugural winner: Mary Doria Russell, for Epitaph). Voting is open until Monday, July 3, at noon. We will announce the favorite in each of the award categories, but only ONE book – the one receiving the most votes overall – will win the prize! What will it be: a collection of poems – or a novel? A children’s picture book – or a biography? YOU decide! So play your part in this year’s Ohioana Book Awards celebration! Go online and vote today (only one vote per computer).